A recent study published in the journal Climactic Change found that the number of state and investor-owned operations responsible for the human impact on global warming may be smaller then you might think. 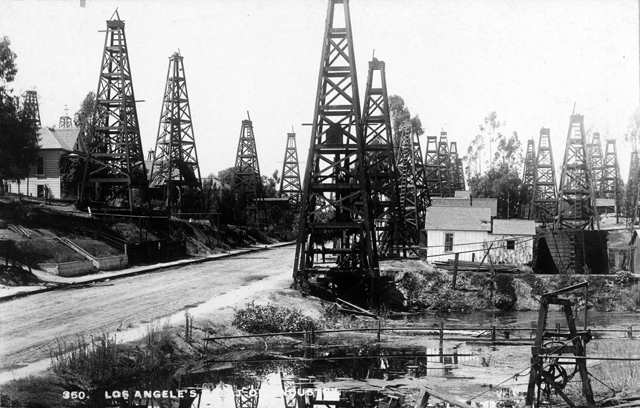 The research shows that just 90 entities produced the majority of fossil fuel-related greenhouse gas emissions since the industrial revolution. CURWOOD: As the recent UN negotiations remind us, solving the climate crisis has become a massive undertaking involving the whole world. But a new study shows that most of the global warming emissions that led to the present situation come from just 90 enterprises. Rick Heede of the Climate Accountability Institute in Colorado led a team that compiled the data that reveals just which entities supplied fossil fuels from the start of the Industrial Revolution to the present. He joins me now on the line. Welcome to Living on Earth. HEEDE: It's my pleasure to be with you, Steve. CURWOOD: So why did you do this project? What got you started with this research? HEEDE: Well, because we wanted to, in a sense, trace most of humanity’s emissions of carbon dioxide and methane that come from industrial sources, such as fossil fuel consumption, back to the extracting entities that had started the whole process. So we looked at a threshold of eight million tons of carbon per year in a recent year for the major entities: oil, gas and coal producers, as well as cement producers, and looked back over their historical self-reported production so we could base it on their own reported data. CURWOOD: Now all this research looks like it involved a massive amount of work. How were you able to do all of this? HEEDE: Steve, I have colleagues at various universities: at Cambridge, at the British Library in London, in Sydney, in Johannesburg, Berkeley, to look at collections of annual reports housed in business libraries. Unfortunately, most of them aren’t catalogued so we had to go in person to dusty stacks and find the old reports for most of these investor-owned companies going back to the early 1900s, sometimes even earlier than that. CURWOOD: Tell me about your process and what it was like, and how did you account for emissions from the 1800s? HEEDE: So we take their produced fuels, reported either in annual reports or in company histories and other sources, and we know how much carbon is in oil and gas fairly accurately. We also wanted to track how much carbon was in the coals, because that varies by heating value and coal rank, so we documented this as carefully as possible...what kind of fuel, where it was produced, so we can track the carbon from the fuels produced into what was actually combusted by consumers. And for that, we also had to deduct for non-energy uses of fossil fuels, particularly petroleum, that goes into petrochemicals and lubricants and wax because we wanted to deduct for the carbons stored in long lived products and just focus on tracing the emissions in the atmosphere back to the fuels produced. CURWOOD: So after all this review, what exactly did you find? HEEDE: We found that for these 90 entities that we call carbon majors, 81 of which are investor or state owned corporations, that they have produced 63 percent of all the carbon emitted to the atmosphere since 1751, and we traced each fuel to each company. CURWOOD: So how was that distributed throughout these 90 entities? HEEDE: They were fairly evenly divided between the nine government-run industries; in Poland for example, in the coal industry, coal produced in China, so there you have nation-states in nine cases, former Soviet Union, for example, and we also have 31 state-owned oil and gas companies like Saudi Aramco and Pemex, and 50 investor owned companies such as Shell and BP and Eni and Total that we all know about. CURWOOD: So who were the largest polluters? HEEDE: The largest investor-owned and state-owned companies are Chevron and Exxon Mobil, followed by Gazprom and Saudi Aramco and Shell and BP, roughly in that order. CURWOOD: And together they account for what percentage of overall emissions, would you say? HEEDE: Well, if we take the top ten, they’re responsible for about 13 percent together. If we take all the investor-owned companies, they’re responsible for 22 percent of global emissions since 1751, and the largest of that is Chevron, and they’re at 3.5 percent. CURWOOD: How many of these companies are still operating today? HEEDE: Nearly all of them. We did trace some of the emissions back to companies whose assets upon dissolution, like British Coal, we weren’t able to trace to existing companies, but almost all of these companies are still in existence, in part because we tried to include mergers and acquisitions by the existing companies. So Chevron, for example, has merged with Texaco in the early 2000s. Texaco and Chevron absorbed Getty Oil and Gulf Oil, etcetera, so we tried to include previous companies that were merged or absorbed. CURWOOD: What do you make of this finding? It seems like an awfully small number. HEEDE: You can fit the directors and presidents of these entities onto two Greyhound busses. It’s a small number and it highlights that they’re just a few dozen individuals on boards of corporations that can make different choices in dealing with solving the climate. I think they can have a vast positive influence on how we deal with climate change. We have to seize the opportunity now to get their help in solving the problem as opposed to just being passive and profitable bystanders to continued climate destabilization. And I think shareholders will all notice which of these companies become leaders in the climate change arena and which become laggards, and we can choose between the two more wisely. CURWOOD: In the end, what do you hope comes out of your research? HEEDE: That we focus more attention on how to deal with existing proven reserves. We have three times as much in proven reserves as the atmosphere can afford to absorb to protect climate stability. And of course, international climate negotiations have a very positive role to play here, but so do producers who have the ear of politicians, as well as of their shareholders, and can influence how resources are produced and distributed and used. And we have a dataset now of 90 entities, what kind of fuels and emissions are traceable to them year by year, so it will be a useful way to devise a metric on how to reduce emissions in the future. Maybe there’s some obligation by the 90 carbon majors to reduce their emissions over time in concordance with their historic emissions in the past. CURWOOD: Rick Heede is the Co-Director of the Climate Accountability Institute. Thanks for joining us, Rick. HEEDE: Thanks. It was my pleasure, Steve.